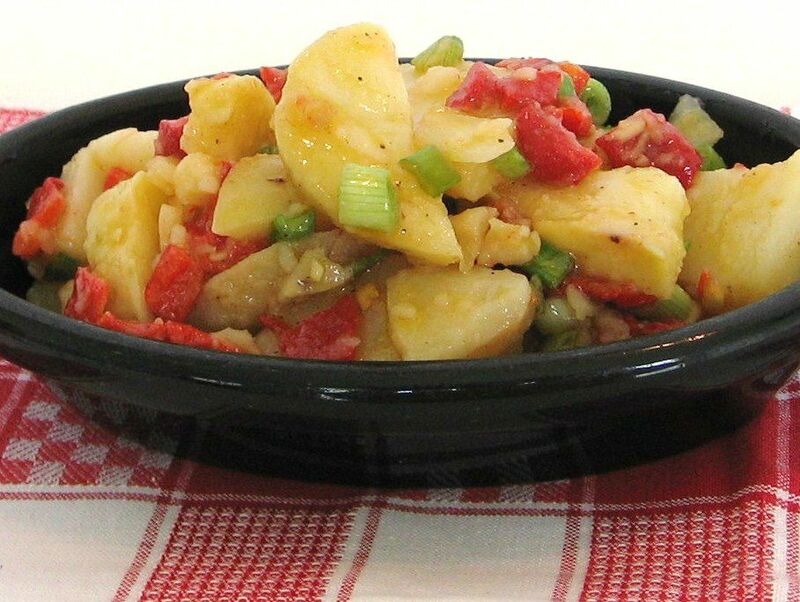 This Serbian recipe for potato salad (krompir salata) is made with a vinegar-and-oil dressing. Since mayonnaise or sour cream are not used to bind the potatoes and vegetables, this version of potato salad is a perfect picnic item in terms of food safety. This potato salad tastes best if you allow the flavors to marry in the refrigerator for at least 8 hours before serving. Place potatoes and onions in a large bowl. In a screw-top jar, add vinegar, oil, garlic, red pepper, salt, sugar, and black pepper. Cover with the lid and shake vigorously. Toss potatoes with dressing. For best flavor, allow to come to room temperature before serving.